111-HAWAII PROJECT Office donated 2% of all the project’s sales of 2015 (12/10/2014–12/31/2015) which came out to a total of $1988.95 to Nā Kama Kai, a local non-profit organization who targets ocean safety and conservation awareness to the next generation. 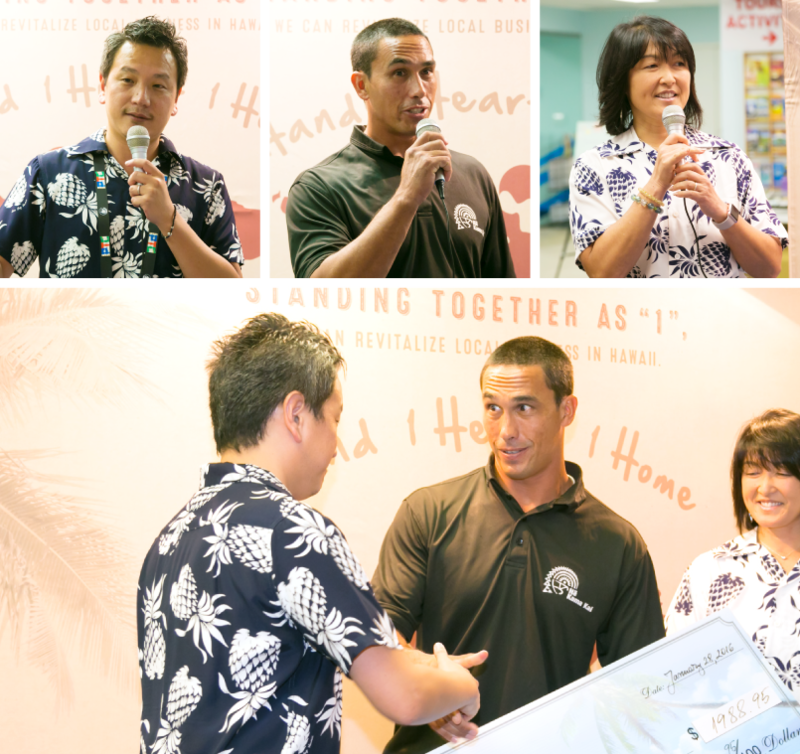 January 28, 2016, the donation presentation ceremony was held at Travel Plaza located at the Waikiki Shopping Plaza basement level. 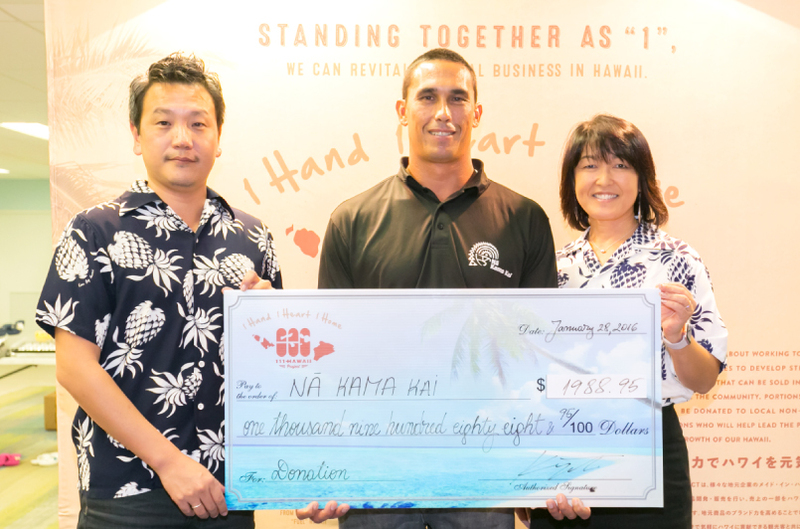 111-HAWAII PROJECT representative, Kuni Yamamoto and Mitsue Varley of Hawaii Tourism Japan presented the donation to Duane DeSoto, the founder of Nā Kama Kai who’s also a pro surfer. *The charitable foundations is selected each year. The next NPO for the 2nd period of 2016 will be announced on the website upon being selected. 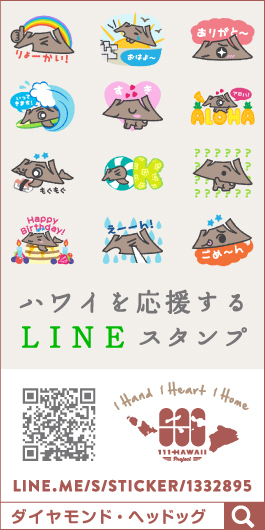 “This donation was a very valuable result of visitors and locals purchasing our products little by little for a year. I would like to present this to Nā Kama Kai on behalf of all those who supported the project to raise the value of Made in Hawaii. Let’s keep this up and help our Hawaii together!” expressed Kuni Yamamoto.